MEET the women whose love of cooking presented an opportunity they couldn’t afford not to take. Members of the Cape Town-based Move! 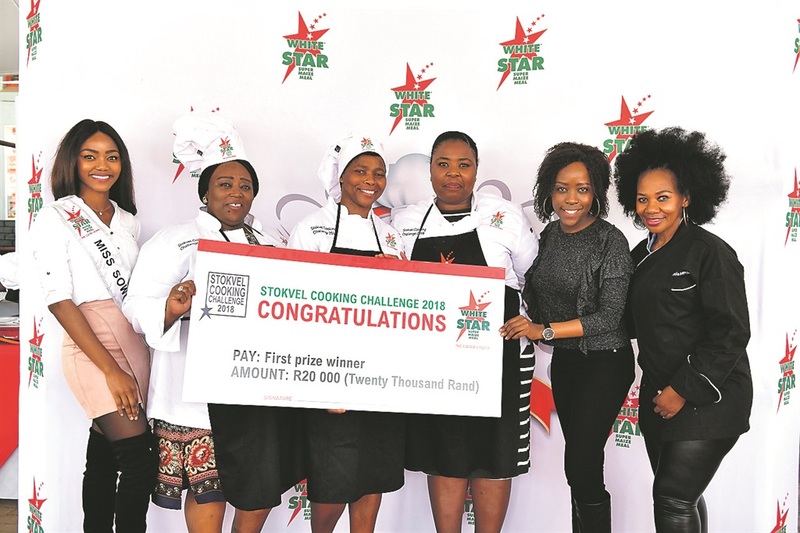 Readers Stokvel walked away with the grand cash prize of R20 000 at this year’s Stokvel Cooking Challenge. The final leg of the contest took place at Waltloo in Tshwane this past weekend. Move! went up against three stokvels representing Durban, the Eastern Cape and Joburg. The first runners up were the Rateng Group from Gauteng and they did not go home empty- handed. Siphokazi Mtini of Move! Readers Stokvel said that although the competition was tough, she was happy they came out the winners. “It was not an easy win. We are grateful. The fifth Stokvel Cooking Challenge worked in partnership with Royco and Move! Magazine. The contestants were watched by celebrity chefs Lucia Mthiyane and Siphokazi Mdlankomo – who was the 2014 MasterChef SA runner-up. The winning group was required to produce a South African dish with an imaginative twist. The judges were looking for a traditional meal that used White Star maize meal, Royco, and creativity as the star ingredients.